India on March 27 conducted an Anti-Satellite (A-SAT) missile test 'Mission Shakti' and destroyed an Indian satellite in Low Earth Orbit to demonstrate an ability to kill an enemy satellite. With this bold strategic move, India joined a select group of countries comprising the US, Russia and China which are space weapons powers. The A-SAT test was conducted by the Defence Research and Development Organisation using a three-stage Ballistic Missile Defence (BMD) Interceptor Missile with two solid rocket boosters in a 'Hit to Kill' mode, destroying the satellite 300 km above the surface of the Earth within three minutes of the missile launch from the APJ Abdul Kalam Island off the coast of Odisha. The development was announced in a public broadcast by Prime Minister Narendra Modi. "The entire effort is indigenous. India stands tall as a space power. It will make India stronger, even more secure and will further peace and harmony," an elated Modi said. He termed the test as a moment of national pride. "In the journey of every nation, there are moments that bring utmost pride and have a historic impact on generations to come. One such moment is today," the Prime Minister said. 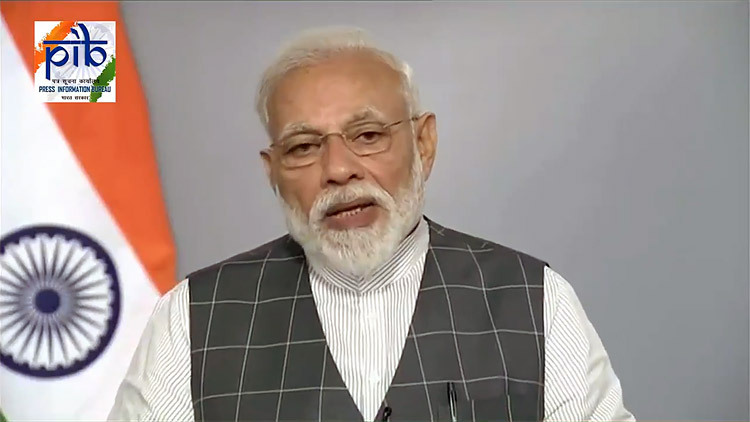 Modi emphasised that India had not violated any international law in conducting this test, nor was this directed against any particular country. But the move is clearly aimed at deterring China from crippling Indian communications by destroying its satellites. China first demonstrated A-SAT capability in 2007. The US responded by destroying an inert satellite in 2008. China and Russia are on the path of operationalising their anti-satellite weapons in a few years. Increased reliance on satellite-based communications and reconnaisance has opened new windows of vulnerability. "The test has demonstrated the Nation's capability to defend its assets in outer space. The satellite used in the mission was one of India's existing satellites operating in lower orbit. The test was fully successful and achieved all parameters as per plans. The significance of the test is that India has tested and successfully demonstrated its capability to interdict and intercept a satellite in outer space based on complete indigenous technology," the Ministry of Defence declared later in an official statement. "The capability achieved through the Anti-Satellite missile test provides credible deterrence against threats to our growing space-based assets from long range missiles, and proliferation in the types and numbers of missiles," the MEA added. The move was overwhelmingly welcomed by India's strategic community. "Without building deterrence by demonstrating an A-SAT (anti-satellite) capability, India risked encouraging an adversary like China to go after Indian space capabilities early in a conflict. To "defend" its satellites, India has to deter China's use of its direct ascent missiles and laser weapons," Tweeted leading strategic analyst Brahma Chellaney. Former Director-General of Military Operations, Lt General Vinod Bhatia (Retired) complimented the Government for demonstrating political will to build up military capability to protect national interest. "Anti-satellite capability demonstrated by India, indicative of India's politico-military will and resolve to protect our nation and national interests. Proud of our scientific community, ISRO, DRDO & all others who contributed to the success," he stated. India strongly justified the A-SAT test as a legitimate measure to defend its critical assets and interests in space. " India has a long standing and rapidly growing space programme. It has expanded rapidly in the last five years. The Mangalyaan Mission to Mars was successfully launched. Thereafter, the government has sanctioned the Gaganyaan Mission which will take Indians to outer space. "India has undertaken 102 spacecraft missions consisting of communication satellites, earth observation satellites, experimental satellites, navigation satellites, apart from satellites meant for scientific research and exploration, academic studies and other small satellites. India's space programme is a critical backbone of India's security, economic and social infrastructure. "The test was done to verify that India has the capability to safeguard our space assets. It is the Government of India's responsibility to defend the country's interests in outer space," an explainer put out by the Ministry of External Affairs (MEA) stated. India also sought to thwart criticism that it would clutter space with destructive debris by blowing up a satellite. "The test was done in the lower atmosphere to ensure that there is no space debris. Whatever debris that is generated will decay and fall back onto the earth within weeks," the MEA explainer emphasised. 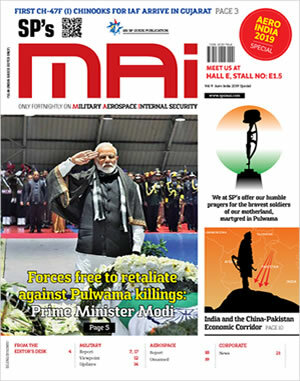 The explainer further elaborated on the Prime Minister's assurance that India's anti-satellite weaponry was not aimed at any particular country, and pitched the capability demonstration in deterrence terms. "The test is not directed against any country. India's space capabilities do not threaten any country and nor are they directed against anyone. At the same time, the government is committed to ensuring the country's national security interests and is alert to threats from emerging technologies. The capability achieved through the Anti-Satellite missile test provides credible deterrence against threats to our growing space-based assets from long range missiles, and proliferation in the types and numbers of missiles," the MEA added.